Damn Arbor: Founders All Day IPA, the perfect beer for cabrewing? 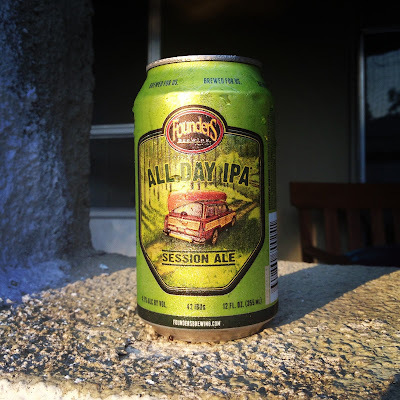 Founders All Day IPA, the perfect beer for cabrewing? On Saturday, several of us from Damn Arbor went on a little canoe trip down the South Branch of the Au Sable. Fortunately, the recent surge in canned Michigan craft beer, we had several options to choose from when selecting the beer for our epic voyage. We ended up going with Founders All Day IPA. For starters, it's a session IPA, so not too strong, which is essential for a day of canoeing. The other reason we selected it, was because it has a canoe on the can. 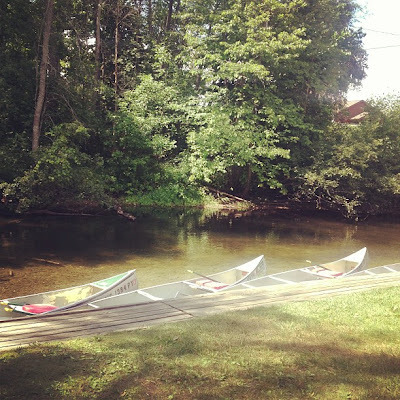 Though no photographic proof exists of the beer being consumed on the Au Sable, you can rest assured that the beer was refreshing and the river beautiful. If you get a chance to go cabrewing in these waning days of summer, I highly recommend it. Where the... What the... I want some! I found them in the bustling metropolis of Roscommon, so I have to assume that if you look hard enough, you can find them here.